Whether you’re a friend, fan or Hawkeye alum, we welcome you to join us in proud support of the Hawkeyes! By joining the National I-Club (with a $50+ donation), you automatically become a member of the Polk County I-Club. Click here for more information about I-Club membership. Interested in joining the Polk County I-Club board? Contact our president, Joe Chmelka, at 515-770-7535 to hear what it takes. 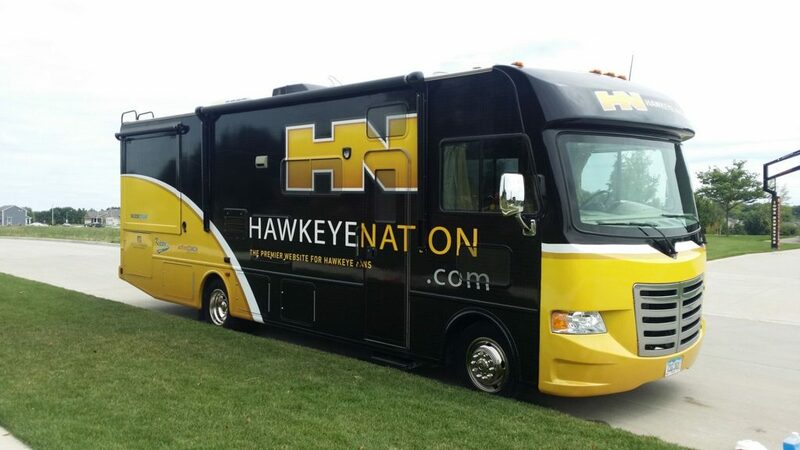 Or if you’re in Iowa City for a football game, stop by the HawkeyeNation.com tailgate before or after the game. The group will be located in the RV parking lot directly north of Kinnick. Look for our sweet new RV! Copyright © 2018 Polk County I-Club. All Rights Reserved.